Ermax is a French windscreen manufacturer that produces quality screens for all sorts of motorcycles. Their nose screen for the Diavel has a unique look to it and looks like it belongs on the bike. The Diavel is already a slick looking Ducati, but the Ermax Nose Screen just adds to the overall look. 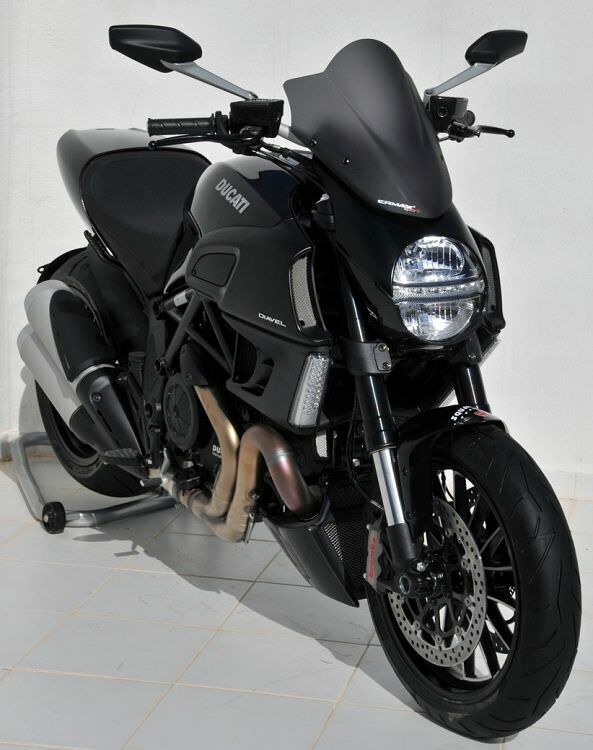 Ermax offers many different colors to match your Diavel and the screen is great quality at an affordable price.